Two Tasting Kits were thoughtfully prepared to bring new insights and depth of experience to the readers of THE TEA GIRL OF HUMMINGBIRD LANE. 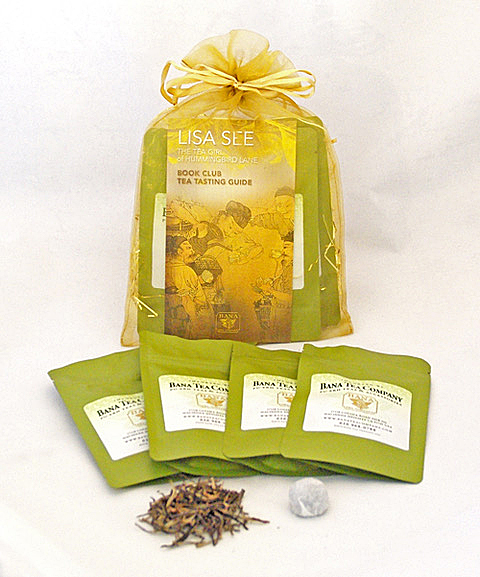 Lisa See and Linda Louie have selected authentic premium quality pu-erh teas that relate to the book. The two tasting guides are written to further enhance your experience and expand your knowledge of pu-erh tea. The Tea Tasting Guides will be available for a limited time. The Book Club Tea Tasting Kit lists points for group discussions on each tea, questions and focal points for comparing taste experiences with other club members, and notes on discerning tea traits like hui gan and cha qi (tea energy). 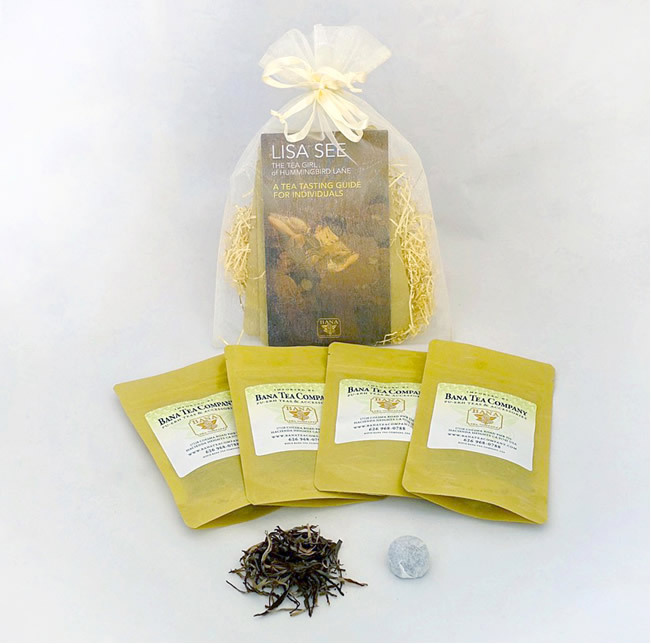 The Tea Tasting Kit for Individuals is designed for a single reader or an informal group who wish to experience pu-erh tea as described in the book. It guides the reader in discovering and comparing different flavors and detecting tea traits like hui gan and cha qi (tea energy). Teas can be enjoyed alone or shared with others without a structured meeting. A new Tea and Snack Tasting Kit, curated by Tea Master Yoon Hee Kim of Tea Classics, is now available to make a lovely companion tasting set to further experiencing The Island of Tea Women. Teas: 3 tisanes (herbal teas) and two individually wrapped sweets from Korea have been selected and included in each kit serving up to 10 people. A Book Club Tea and Snack Tasting Guide describing the origin and background of each tisane and snacks included in the kit. 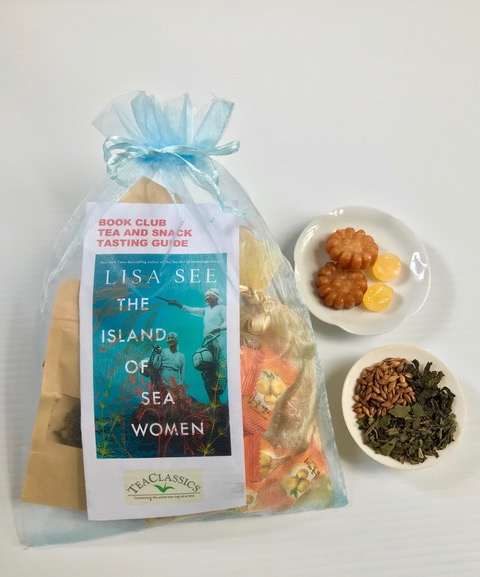 The Tea and Snack Tasting Kit for The Island of Sea Women is designed for book club members to enjoy three types of traditional Korean herbal teas together with a taste of two kinds of Korean sweets, while discussing the story of Korean sea women.